We often talk about the importance of literacy in society. It is even a contentious issue in some countries… the right to learn to read. Obviously, it is essential to learn the rudiments of writing, reading and speaking. A person respected is one with measured words and a strong pen. Twenty years ago we began talking about computer literacy and everyone was rushing to learn the latest programs in MS-DOS and tinkering in BASIC. The new language of "computerese" had emerged. Then the age of the Internet, everyone had to learn browsing and searching and the entire platform of information retrieval and access is being defined by the likes of e-mail, text messaging, Google and You Tube. The culture of social networks such as Linked, MySpace, Twitter and Facebook have added to this information explosion. In our chess world, we have a type of literacy. 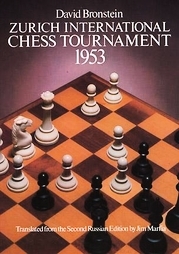 There is such a proliferation of chess books and software (Rybka, Fritz, Hydra, Hiarcs, Shredder, Zap!Chess) that players are forced to become conversant with to learn the intricacies of openings, middlegame analysis or the endgame tablebases. 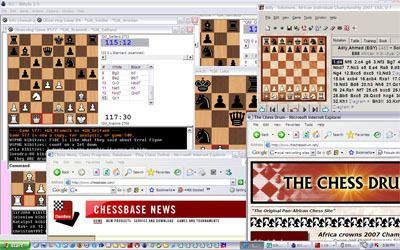 In addition, there are playing sites like the FICS, playchess.com and Internet Chess Club (ICC) that entertain thousands of players at a time with a playing arena and a chat facility. It is in these venues where players can exchange ideas and debate on games in progress. Sites like chessgames.com provide yet another dimension of chess research and commentary. The ICC has also added a multilingual Chess.FM to its portfolio and has created a bonanza of audio commentary not formerly available to the chess audience. The blog culture has improved the literary content of chess material as chess players of all strengths engage in discussions that were previously thought to be infeasible at chess clubs. The Daily Dirt has a regular cadre of bloggers that keep the discussions fresh and provocative. In this explosion of information, players continue to be inundated by magazines whose standards are set by quality publications like New in Chess. The options are endless and it forces chess players to become more and more literate in the language of chess. It is interesting to see the improvement curve sharpening in young players and there are pointed references to rating inflation. However, is it really rating inflation or are players simply getting stronger because of the vast amount of information they have access to? In addition, the young players of today simply learn differently. They eschew books, have only known life with computers and would rather rifle through a hundred games in a database in one hour than pick up a classic book like 1953 Zurich International Tournament. Only the diehards will spend hours the old fashion way… hunched over a chess board with a book or magazine. I have personally heard or read of young GMs (including GM Hikaru Nakamura) saying the practice of reading chess books is a waste of time. Apparently, this is not an uncommon thought. There was a recent article in the New York Times titled, "Are Books Passé?" It discussed the increasing migration of books into the digital realm. The question one would raise is whether playing countless 3-minute games on the ICC the new age way of knowledge acquisition. We often say "experience is the best teacher," so maybe a new chapter of epistemology has to be written. The big question is how to bridge the old methods of literacy with the new. There is certainly a place for grinding through scoresheets and playing the variations over a real board. Of course, that is where games are actually played. However, which method produces a greater literacy? Those who argue that analysis with a board will say the interactions are deeper, more intimate and thus more lasting. Computers will only be used to check variations and tactical lines after the real analysis is done. Then there is the other school… the "millenial learners" with their multitasking style. To gain literacy these players may play blitz chess on the ICC, carry on a couple of chat conversations, browse ChessBase.com, while listening to their favorite music on their iPod. They may claim that the multiple types of information provides a richer, varied experience and thus a more powerful impression. Perhaps. 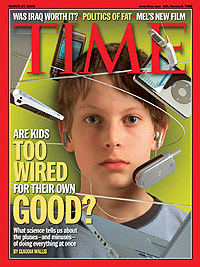 There was an article in Time magazine last year raising the question "Are kids too wired for their own good?" The emphasis was on the youth, but the trend has become pervasive in contemporary chess culture. Are we developing shorter attention spans and thus comprehending less by rifling through variations and games in computer databases and websites? Is this trend helping or hurting chess literacy? Personally, I still like flipping through New in Chess and going through the annotated games, but in many ways there is a strange feeling of insecurity when a computer is not involved. Food for thought. There are mountains of literature that discuss the social importance of literacy and its role in the development of human capital. The question becomes, "How does one attain literacy?" If we can look at chess literacy in the same vein, we can say it is of utmost importance in development of chess potential. It is interesting to note the rise of India. The country has created a culture of chess that is infectious. Bolstered by the legend of Viswanathan Anand, chess has been made accessible to the masses. Anand visits India every year and has done a lot to promote chess. In addition, he has a press entourage covering every tournament he participates in. There is now a Chess-FM station for India and if one subscribes to a news agency for chess, much of the content comes from Indian newspapers and media outlets. This barrage of content helps to educate the Indian public and increases excitement for chess… for players and non-players like. This excitement then encourages corporations to get involved to take advantage of the public interest. With such generous attention being directed toward chess, it is no accident that India has become the fastest growing federation among the elite nations. Some years ago I presented a paper at a conference on "African Virtual Libraries" and came across many readings citing Africa's lack of information infrastructure. This is well-known and it applies to chess literacy on the continent. In my six years of running The Chess Drum, I have heard countless stories about the continent's lack of chess literature. Of course Amon Simutowe's recent feat of earning his 3rd Grandmaster norm is somewhat of a marvel because he initially studied games by going through old magazines from England. The problem remains and African federation still struggle to make the most of their situation with a scarcity of software, computers and chess literature. Poor chess literacy certainly impedes the progress of whatever talent exists. Authoring of books, game annotations, audio commentary, chess photography and the creation of blogs and websites are all a part of the building of chess literacy. Currently there are hundreds of chess blogs around the world, countless game archives and thousands of chess websites dotting the virtual universe. However, the global distribution is still uneven. The acquisition of literacy is dependant on the quality of the information infrastructure. This has certainly become true in chess. Chess players are increasingly forced to become more literate and rely on books, magazines and databases for chess immersion. Unless there is some type of improvement in a nation's information infrastructure, federations will continue to lag behind in knowledge acquisition and national chess development.